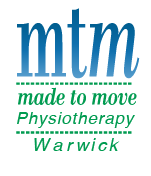 MTM Physiotherapy Warwick opened in February 2016 and since then we have established ourselves as leaders in modern Physiotherapy in Landsdale and surrounding suburbs. MTM Physiotherapy, a proven brand has launched inside the newly renovated and expanded Warwick Stadium situated just 14 minutes from Landsdale. We are located on the corner of Warwick and Wanneroo roads and have access to all of the state of the art facilities inside the stadium, including a 500sqm gym for us to use as part of our treatment and management of your condition. As part of our commitment to servicing the Landsdale region, we have regularly committed to making contact with the staff at Landsdale Medical Centre to ensure that the full health of our patients are taken care of. We also attend the Medical Centre and provide some professional development and education to the staff about how Physiotherapy is beneficial. As well as in services to surrounding GP’s, we have experience working with elite level athletes in both the state leagues and national competitions. We are proud to be involved with the Stirling Senators Basketball club, West Coast Warriors Netball and Northern Stars Volleyball. Furthermore we also provide assistance to the Illawarra Hawks and the Victorian Bushrangers when they are in Perth. As we reach out to Medical Centres, we are well placed to accept referrals for Workers Compensation, Motor Vehicle Accident claims and EPC visits. It must be noted, we do not require a referral for a privately billed Physiotherapy session. As well as having strong clinical skills, our Physiotherapists are skilled in Exercise Screenings, writing training programs, analysing movement and motivating you to achieve your goals. We offer a range of Physiotherapy services within our treatment sessions including Dry Needling, Massage, Mobilisations and Electrotherapy. Our Physio’s are experts in exercise prescription and will ensure that you go home with solid advice and a plan in order to limit the amount of time you need to spend in our treatment rooms. We also have access to the state of the art Warwick Workout gym which we can utilise for those clients who are after some more advanced training and longer rehabilitation clients such as joint replacement or knee surgeries. Our team of friendly admin staff and highly skilled therapists are always here to help you. We are always happy to give out some free advice and assist you or your loved ones in anyway that we can. We are open six days a week with flexible hours to suit your needs.